It’s likely you may have seen a pub or something else called the Royal Oak, and not given it much thought. 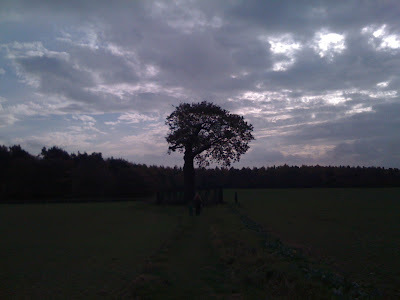 But do you know that there really was a Royal Oak – one single tree – which spawned so many namesakes? In 1651, the young King Charles II of England – the exiled son of Charles I, who had been executed in 1649 – made a valiant attempt to take back his throne. 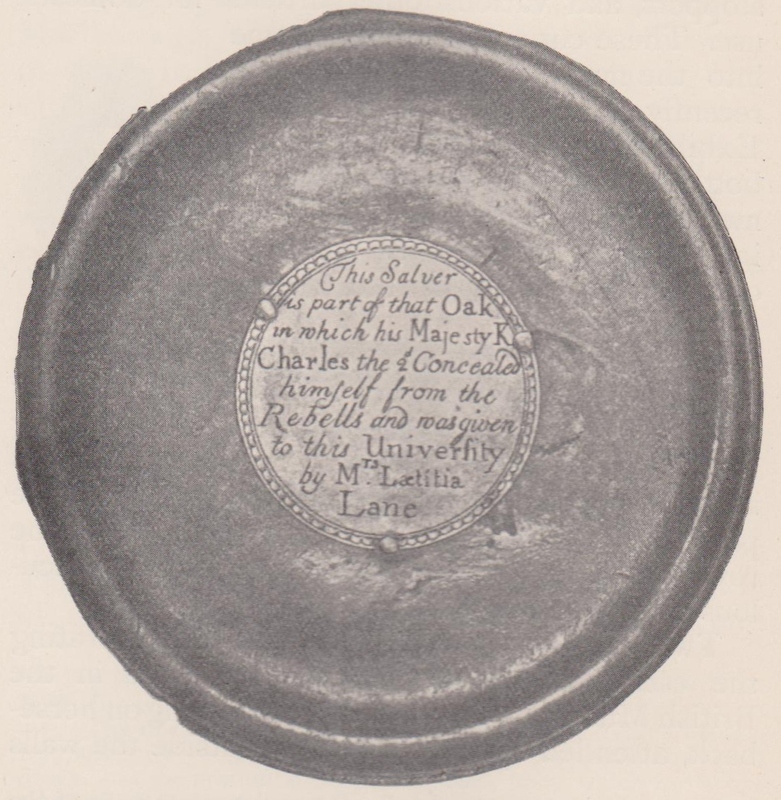 His defeat by Oliver Cromwell’s forces at the Battle of Worcester on September 3, 1651 set off one of the most astonishing episodes in British history – Charles’s desperate odyssey to reach safety in France, which came to be known as the Royal Miracle because he narrowly escaped discovery and capture so many times. Charles and a few companions arrived at Whiteladies in the early morning hours of September 4. George Penderel, a woodsman who was a tenant there, and one of five surviving brothers of a staunchly Royalist family, sheltered the king – and his horse – in the house overnight. But Parliamentary cavalry patrols were searching for Charles, so at sunrise Richard Penderel, another of the brothers, took him into the woods surrounding Whiteladies, where he stayed all day, in the rain. Charles and Carliss were not discovered, and when it was dark, they came down out of the tree – which came immediately to be known as the Royal Oak – and ravenously ate the chicken dinner that Mrs. Penderel had prepared. As it turned out, the 21-year-old king was on the run for six weeks, until he was able to sail for France from Shoreham near Brighton on October 15. 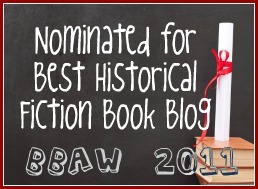 During his perilous travels, he was sheltered and helped by dozens of people – mostly simple country folk and very minor gentry – who could have earned the enormous reward of £1000 offered for his capture, but instead put their lives in jeopardy to help him. When he was restored to the throne in 1660, the five Penderel brothers were among those he summoned to Whitehall to be honored and rewarded for their part in saving his life and the future of the monarchy. 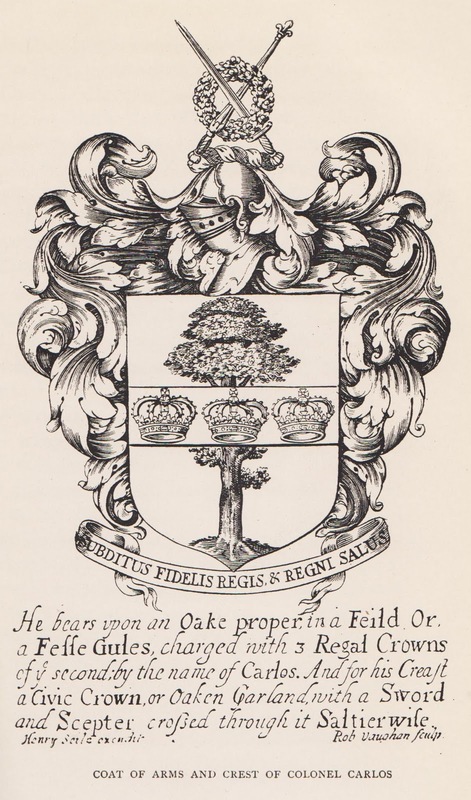 He gave Colonel Carliss permission to change his name to “Carlos,” i.e., Charles, and awarded him a coat of arms featuring an oak tree and three crowns. 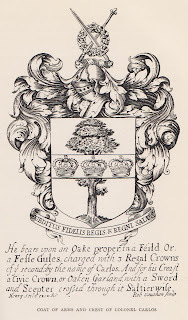 And he commissioned a series of paintings from Isaac Fuller depicting highlights of his escape – one of which showed him asleep in the Royal Oak with his head on Carliss’s lap. ﻿Almost immediately people began cutting wood from the Royal Oak, to make souvenirs. Charles gathered acorns from it when he visited Shropshire in 1661, and planted them in St. James’s Park and Hyde Park. The tree eventually died, but a sapling that had grown from it was protected and cherished. Eventually it, too, succumbed, but one of its offshoots still stands, carefully fenced off, behind Boscobel House, now maintained by English Heritage. 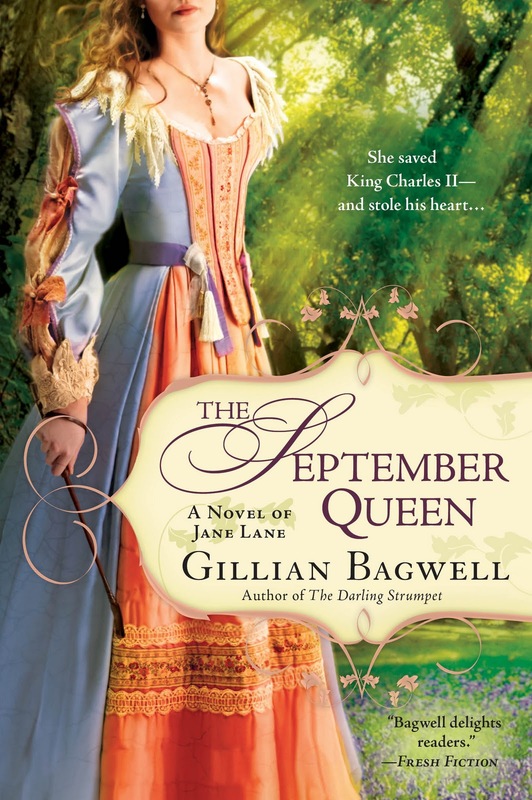 Gillian Bagwell’s second novel, The September Queen, the first fictional accounting of the story of Jane Lane, an ordinary English girl who helped Charles II escape after the Battle of Worcester, was released on November 1. 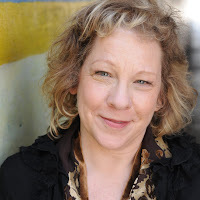 Please visit her website, http://www.gillianbagwell.com/, to read more about her books and read her blog Jane Lane and the Royal Miracle http://www.theroyalmiracle.blogspot.com/, which recounts her research adventures and the daily episodes in Charles’s flight. 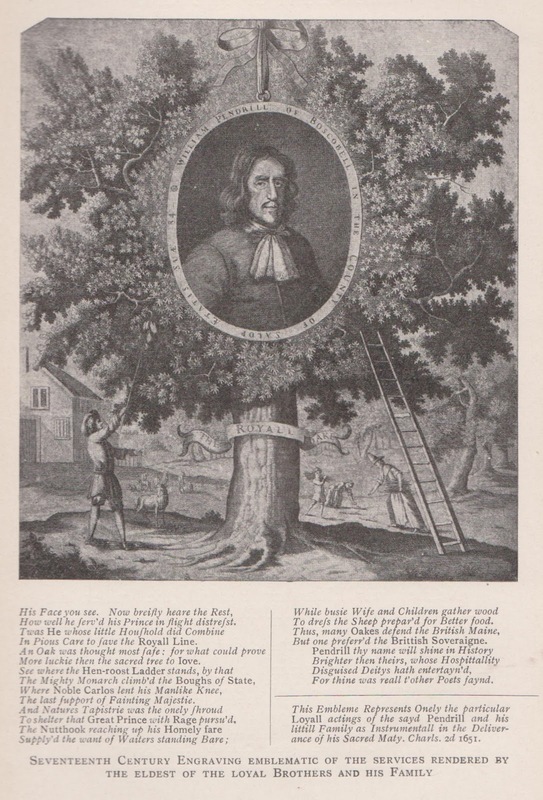 I think the king's sheltering in the oak tree was one of the most fascinating parts about his escape. I would think being woken by a pinch would have caused him to make a sound too. It would me. This book about the heroine in another part of his adventures sounds really good. What an interesting bit of historical fact we've all be oblivious to. I am going to go quiz my family about it now, hehe. Thank you for sharing! Agreed; it is wonderful to have become an expert in yet another tidbit of English history. Thank you, Gillian! I loved reading this, a fascinating story. The pics are also excellent. Thank you for posting. I want to read the novel now. I'm looking forward to reading Gillian Bagwell's novel. The story about the ongoing tradition of the Royal Oak is a fascinating one. Georgette Heyer's novel "Royal Escape" is an excellent fictional account of Charles' escape from Worcester and hair-raising adventures before reaching freedom. Jane Lane makes a substantial appearance as well.